Amy Snover was interviewed by the Spokesman-Review about climate change adaptation measures underway in Washington State. “There is an urgency to reduce emission so we minimize future change, but at the same time we have a responsibility to prepare for the changes we’ve already set in motion,” she said. The good news: many adaptation measures are underway across Washington state. Q & A: HOW WILL SNOHOMISH FARMS ENDURE CLIMATE CHANGE? The Snohomish Conservation District recently partnered with the University of Washington Climate Impacts Group and The Nature Conservancy to model and map various historic and future flood scenarios across the Snohomish and Stillaguamish watersheds. How will these data be used and why are they important? Read a great interview with Cindy Dittbrenner, Natural Resource Program Manager for the Snohomish Conservation District, about why these data and the project’s webmap are so important for farmers in Snohomish County. Climate doom got you down? CIG’s Meade Krosby shares her thoughts on why the bad news on climate change needs to be served with a healthy dollop of hope. CIG’s Heidi Roop was on KIRO 7 talking about the recent release of the new Intergovernmental Panel on Climate Change (IPCC) Special Report “Global Warming of 1.5°C” and what it means for our future in the Pacific Northwest, and beyond. After more than five years as a Research Scientist with the Climate Impacts Group, Se-Yeun Lee is leaving to start a new chapter as a full-time instructor at Seattle University. During her time at Climate Impacts Group, Se-Yeun has been involved in interdisciplinary research focusing on understanding and modeling the complex interactions between climate, hydrology and natural resource management. With a Ph.D. in Civil and Environmental Engineering from the University of Washington, research interests in climate change impacts on hydrology, and a drive to work directly with managers and decision-makers, Se-Yeun’s work has greatly contributed to our mission of advancing understanding of climate risks and building regional climate resilience. Please join us on October 30, 2018 for the Wildfire Smoke Risk Communication Stakeholder Symposium. Hosted by the University of Washington ColLABorative on Extreme Event Resilience, Program on Climate Change, and Climate Impacts Group, the symposium aims to bring together the University of Washington climate and health research community with local, state, tribal, and federal practitioners working on wildfire smoke and health issues in Washington State. 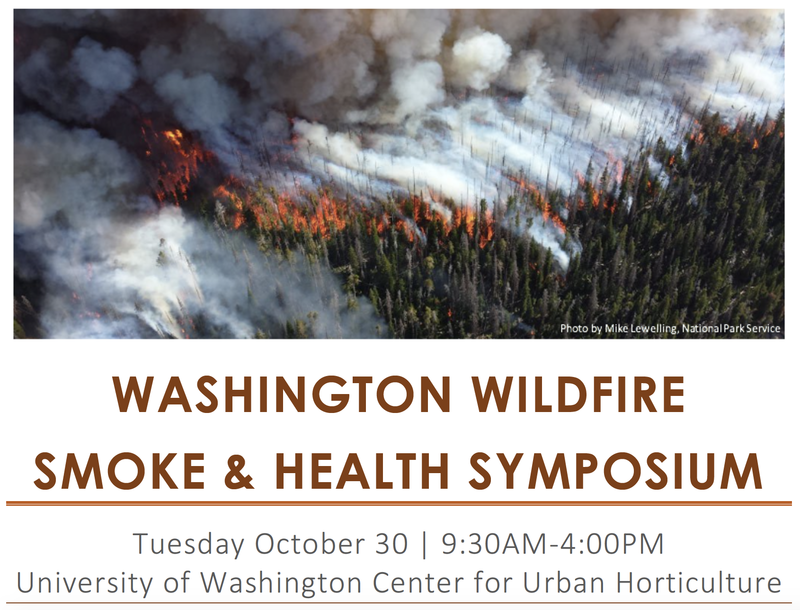 The symposium will convene regional stakeholders to share lessons learned from the 2017 and 2018 wildfire seasons, and to foster academic-practice partnerships to address existing challenges related to wildfire smoke and health in Washington State. The Climate Impacts Group, in collaboration with the UW Department of Environmental and Occupational Health Sciences, Urban@UW and Front and Center, has just release a new report that explores who is at risk in Washington state from climate impacts, and why. This report strives to clarify how communities of color, indigenous peoples and communities with lower incomes may be exposed differently to climate-related hazards in Washington state and how factors like race/ethnicity, wealth, income, level of education and health status affect the ability to cope with climate impacts, or related harm.